It’s slowly beginning to look a lot like summer and I don’t know about you but I’m pretty excited! Time for flip flops, summer vacations, swimming pools, and daily adventures with the kids… bring it on! How about some fun ideas to add a little sunshine to your summer? 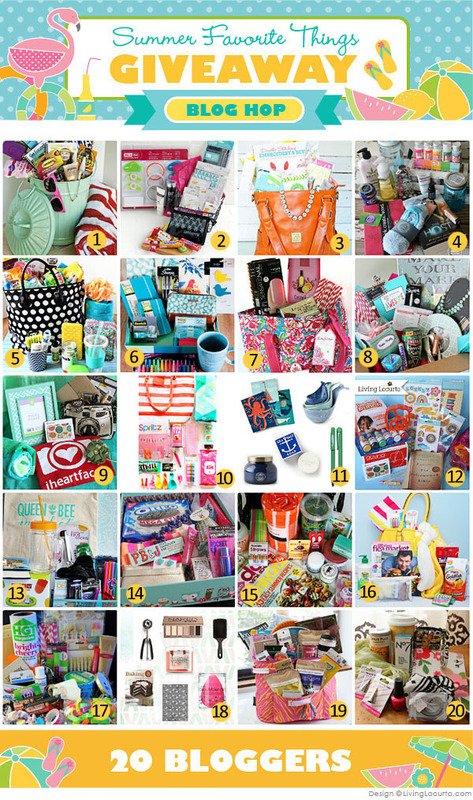 I’ve teamed up with 20 Creative Bloggers to share some of our favorite things for summer under $50, and you have a chance to win one (or more) of these fabulous gift packages! You may remember the Holiday Favorite Things Under $25 from 25 Bloggers Giveaway and Blog Hop from last year…….well, it was so much fun a bunch of us thought, why not do it again, for the summer! !